Rainfall Press provides services in editing, private coaching, and publishing. Subscribe now to receive industry related information and commentary. So, you're selling books. Great! But if any of your buyers are anything like me, selling the book isn't always enough. I love being able to support my fellow authors, if not for my own reading, I at least love to have a copy of their book in hand so that when I talk about the writers themselves, I can show the books as a visual. People like tangible things. Simply saying "I heard this author talk about blah blah" and it's just another name to remember, another story we've all heard. Seeing the book gets the feel of the author into their heads. For me, the hard part is a) finding time to read the ever growing stack of books, and b) not inner-editing them as I go. Occupational hazard. I used to love to read. I don't know that it's why I became a writer. I've always felt the need to express myself and this just seemed the logical way to do it. Over the years, too many critique groups and classes and manuscripts have taken some of that magic away. I find myself wanting to find that spark again, but like a midlife hormone change, the feeling just isn't there. I think we all have more readers like that than we want to realize. We practice smart marketing methods, contractually bind ourselves to agents and publishers and sell our souls to sell a book, but then what? I wonder how often our books end up sitting on a dusty nightstand or crammed into a forgotten bag. 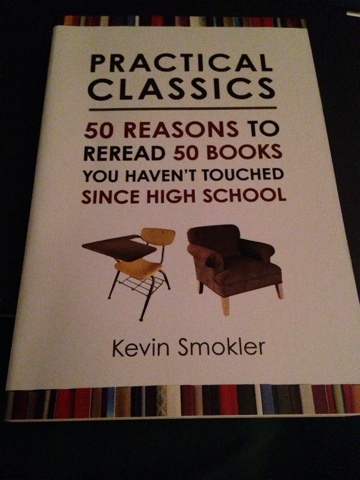 Today I met author Kevin Smokler (Practical Classics: 50 Reasons to Reread 50 Books You Haven't Touched Since High School) and he asked me what was my favorite book to read in high school. It was Black Boy, by Richard Wright. It was the only book I was required to read that I actually did. All of the others I'd skimmed just enough to get by. 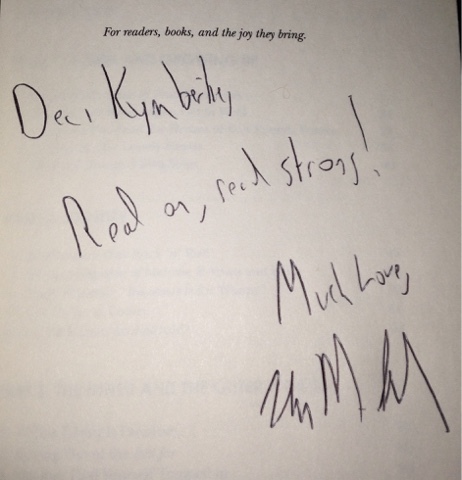 Kevin and I talked about why it's important to read other writers, and how he managed to find the time. Then he challenged me to go home tonight and while my husband watched his beloved football to read just ten pages. "It's only ten pages!" I'm not sure if he's devious enough to know that if go home and read the first ten pages of the book he just sold me or if he never gave it any thought other than to give a push to a fellow writer, but I went home and read Kevin's first ten pages. And it wasn't even because I was trying to get out of football or figuring out this space age new laptop. It was because his love of words made me want to see what he had to say. So, when selling or networking or engaging with others, remember that not only are you asking for them to boost your sales, you're asking them to give you their time, and that's the best benefit you will ever receive from selling a book. March 2019 Bulletin Now Available - The March issue of the Bulletin is now available online as a pdf and flipbook. Blasberg tip sheet - Thanks! The post Blasberg tip sheet appeared first on Brooke Warner.